Just as I was ready to pull the trigger on what in retrospect would have been a ridiculously priced piece, this happened. I had set an alert on good ole eBay so that I got a notification every time anything with the words "suede", "blouson" or "jacket" was listed. I checked out the pictures with the enthusiasm of a marathoner rehydrating with cold chocolate milk right after a race. For a starting bid of $40, what I wanted was within reach. However, eBay being eBay, I knew I had to keep a tight eye on this and I was determined not to let it slip away. Long story short, I won the auction and then got the jacket only to realize it had shoulder pads! Fortunately, I have a damn good tailor who got rid of them expeditiously. Now, I look forward to pulling this jacket off the hanger every time I wear it. Even with its age, the suede feels amazing and the whole thing is built to last. 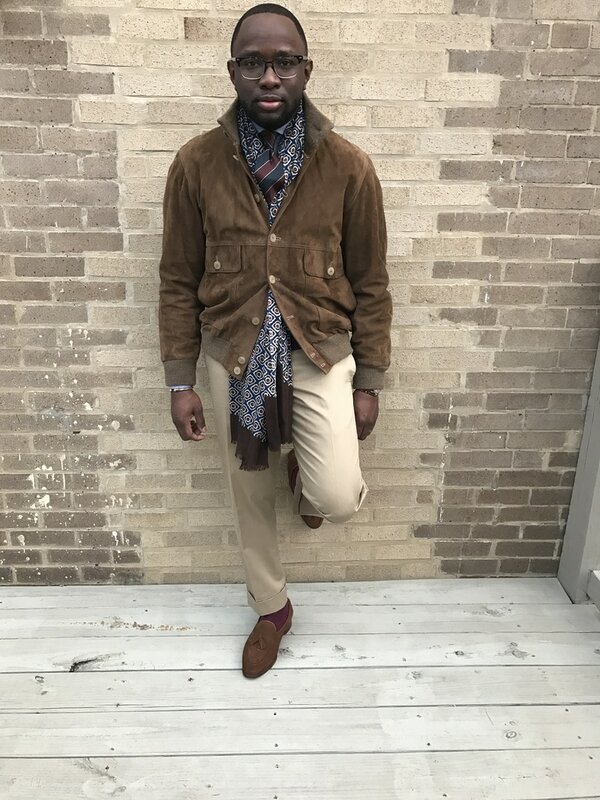 As spring season has been hesitantly approaching, I've been looking forward to wearing some lighter weight pieces like this suede blouson I acquired about a year and a half ago. 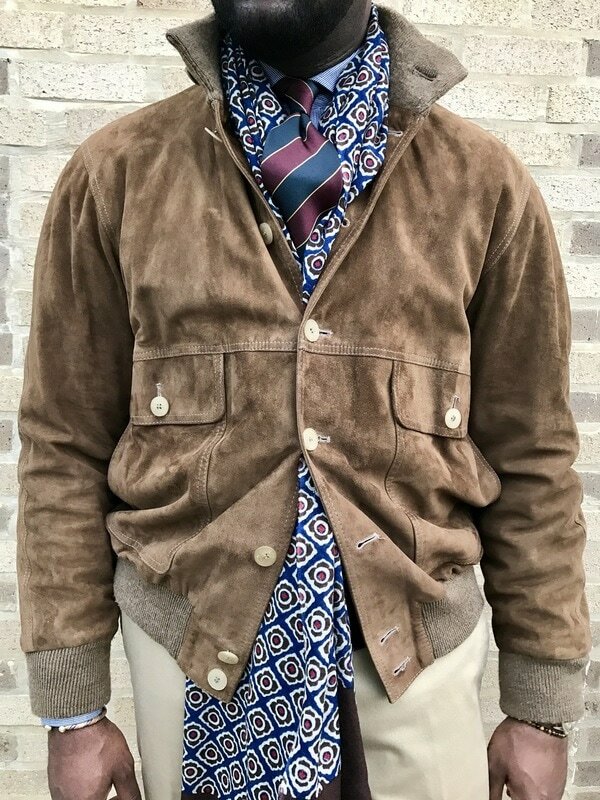 The first time I came across a blouson with details like this was while scrolling down my Tumblr feed three or so years ago. I was immediately obsessed and added it to my list of must-have items. Then began a search that I had no idea would take as long as it did. 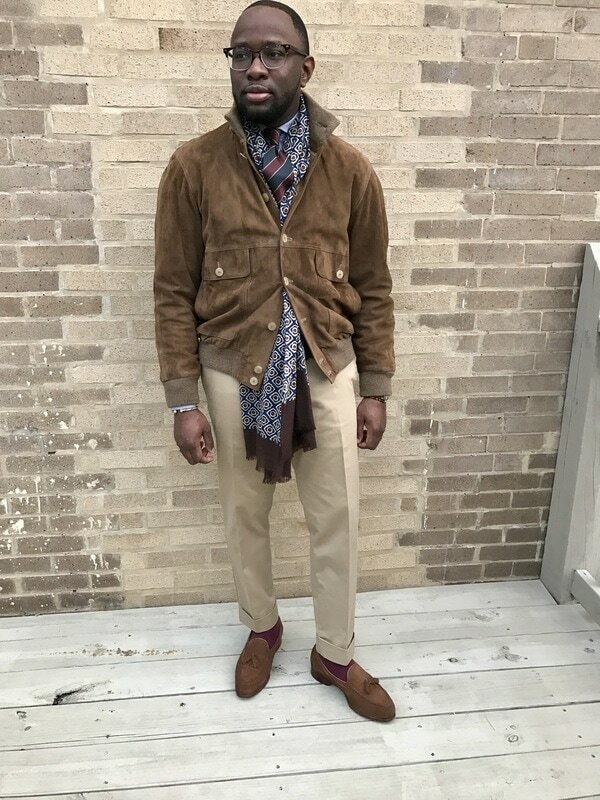 I knew I wanted one in a mid-brown suede with buttons, side pockets, soft shoulders and of course ribbed collar and cuffs. The options I found online with all of those details were well beyond what I was willing to pay but frankly after a while, I was increasingly willing to risk it. 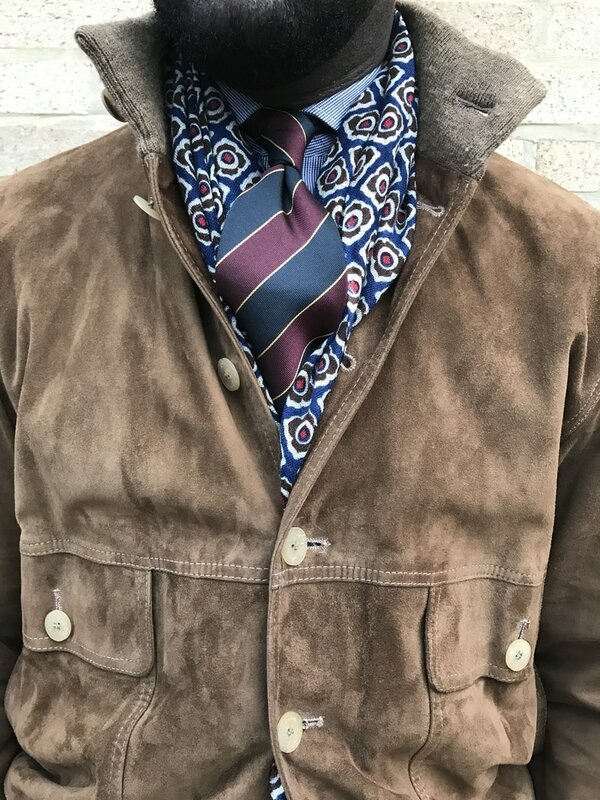 Suede Blouson x Hart Schaffner, Cotton Scarf x Gutteridge, Silk Tie x Bows N Ties, Tan Chinos x MTM, Suede Tassel Loafers x Meermin.